My name is Haley Williams. By the grace of God, the gift of my kids' quiet time and a cup of coffee, I’m building a business and a family. I want to inspire and encourage you as you do the same. 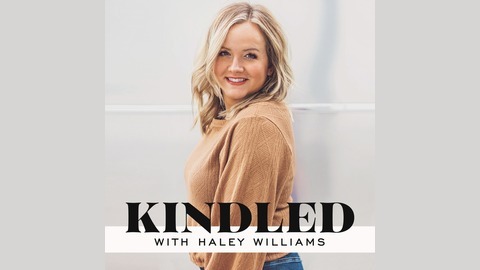 The Kindled podcast is focused on helping moms use their gifts for Gods glory and their good. We’ll chat with real women who are learning how to do this very thing as they navigate motherhood, work and the grace we need for both. My hope is that these episodes kindle your God-given skills and interests as you are brought to a deeper understanding of your value as a daughter and a greater excitement for how to live that out as a woman and a mother. This heart to heart is always had over a cup of coffee and usually paired with a business pep talk. We hope you’ll find practical advice and the encouragement you need to work well, and live more. This episode is the KICK in your faith/business pants you've been needing! Honestly, even if you don't have a business, Jennifer will entertain and challenge you with her wit and wisdom that applies to both life and business. 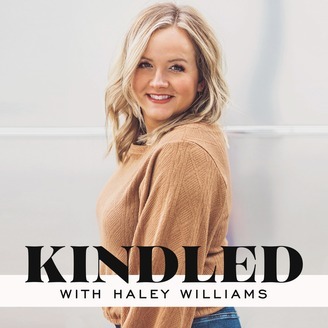 Listen in as we chat about how she has the audacity to charge what she's worth, how she grew from a service business to a 6-revenue stream business that helped her husband retire from his corporate job and how she's continuing to be a "Yes Girl" for God. She's a powerhouse of energy and business know-how and I learned so much from this SINGLE conversation with her! She grew her audience organically to nearly 500k followers on Facebook and Instagram and then monetized that audience. She's also a believer and will challenge you NOT to buy into the hustle and grind junk the world is selling women in business these days.